Marla Rottenstreich is an AFAA-certified Group Fitness Instructor, ACE-certified personal trainer, Kripalu Yoga teacher, licensed Health coach and lecturer, licensed Zumba instructor, ACSM Teen/Adolescent Fitness Instructor as well as ACSM Senior Fitness provider, DONA-certified birth doula and prenatal fitness provider, and licensed Beachbody PIYO instructor. She currently owns Mekor Fitness LLC, a Central NJ Women’s Fitness & Wellness company. 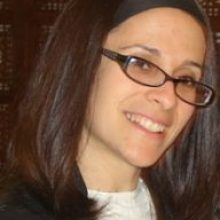 Marla is a Physical Education & Dance instructor at many NY/NJ yeshivas and nursery schools and has offered programming at many camps, travel programs, Pesach hotels and schools for specialty events across the country.